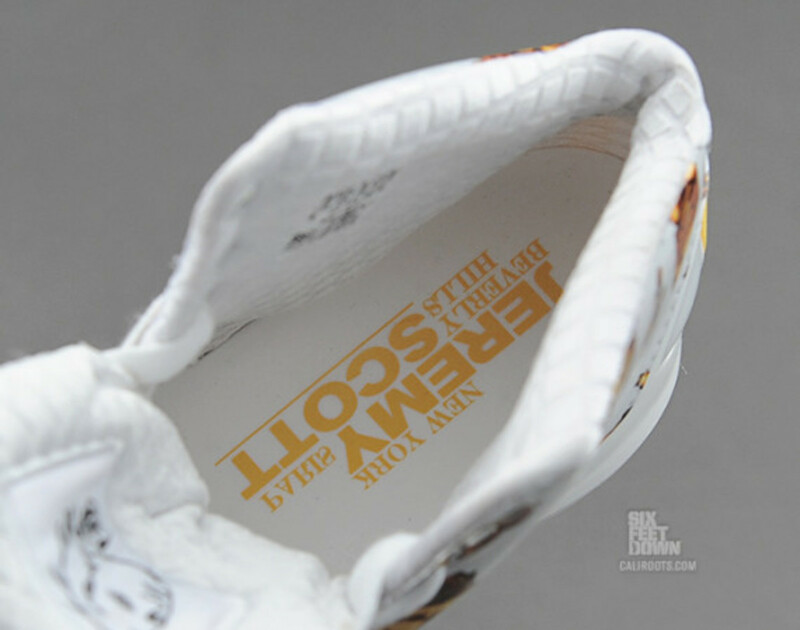 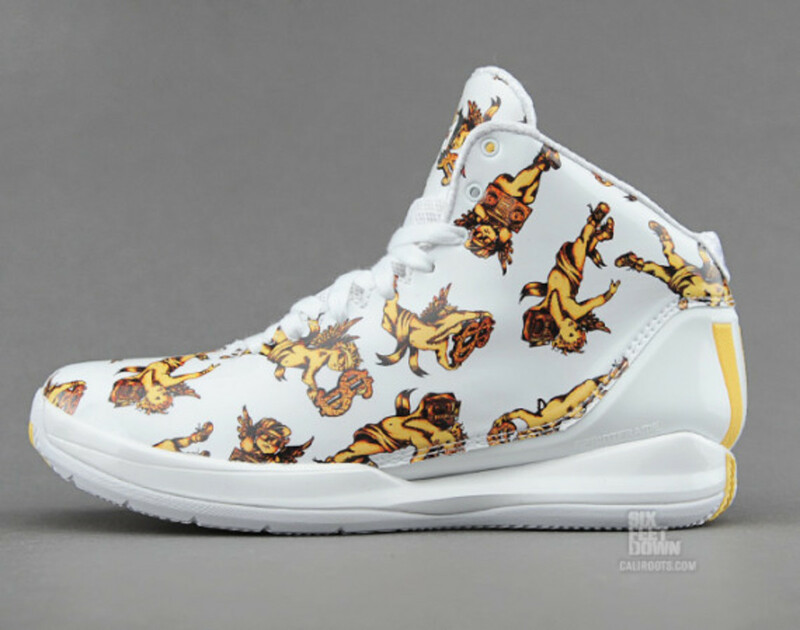 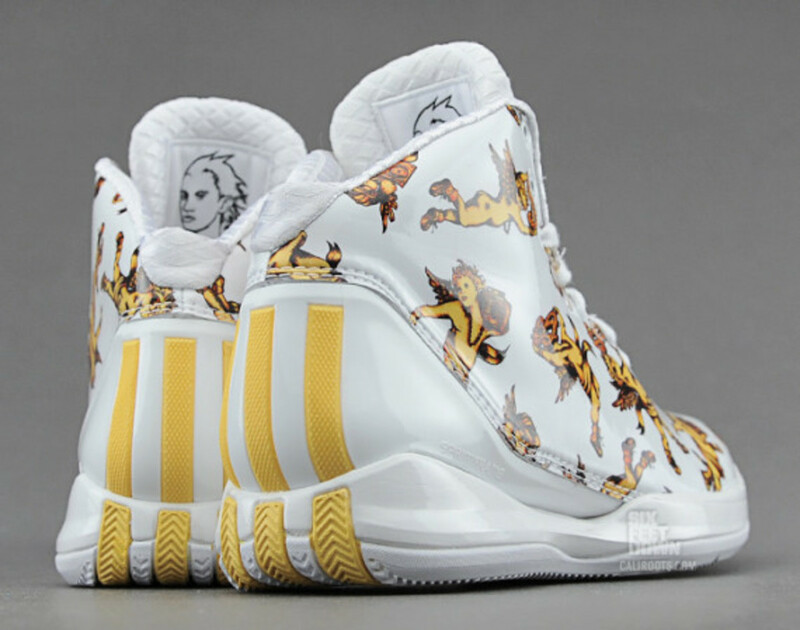 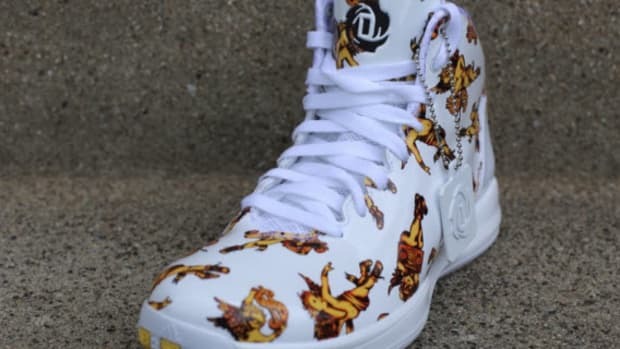 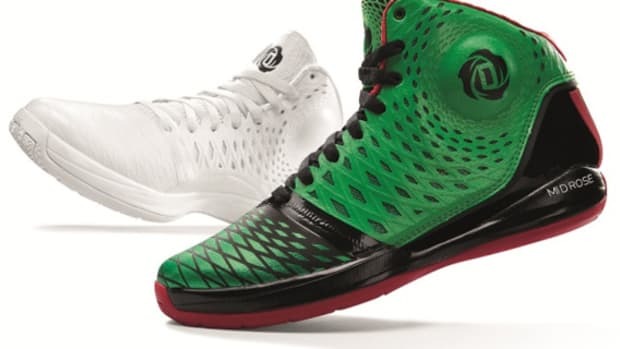 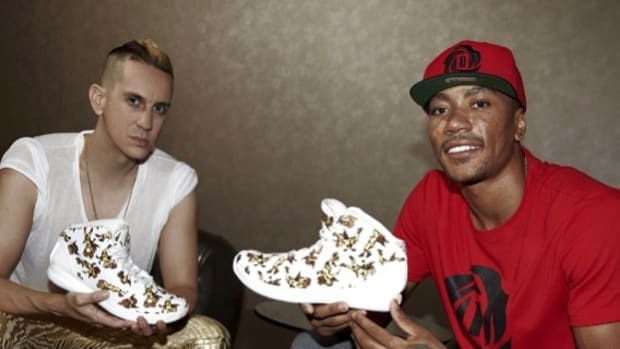 Two of the biggest names associated with the adidas brand are also two of its most diametrically opposed, but Jeremy Scott and Derrick Rose have come together to create this special edition adidas D Rose 3.5 basketball shoe. 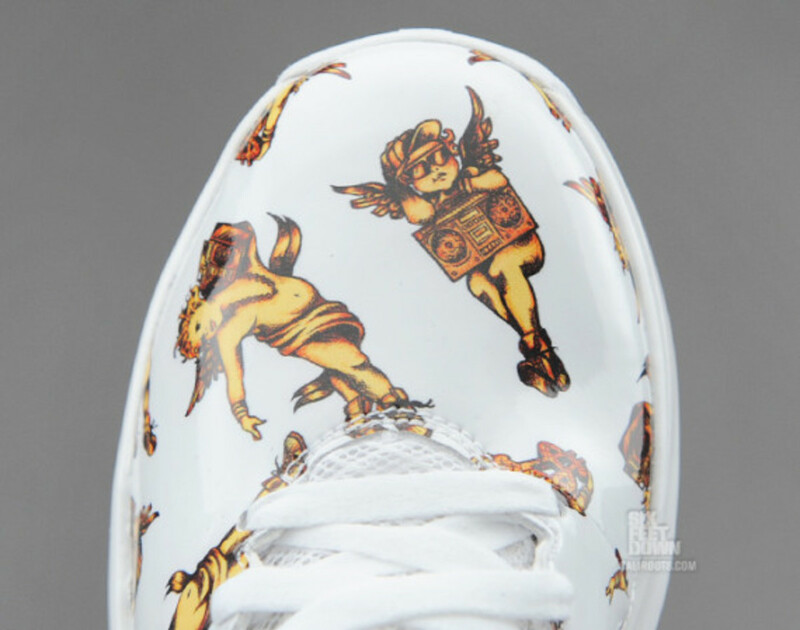 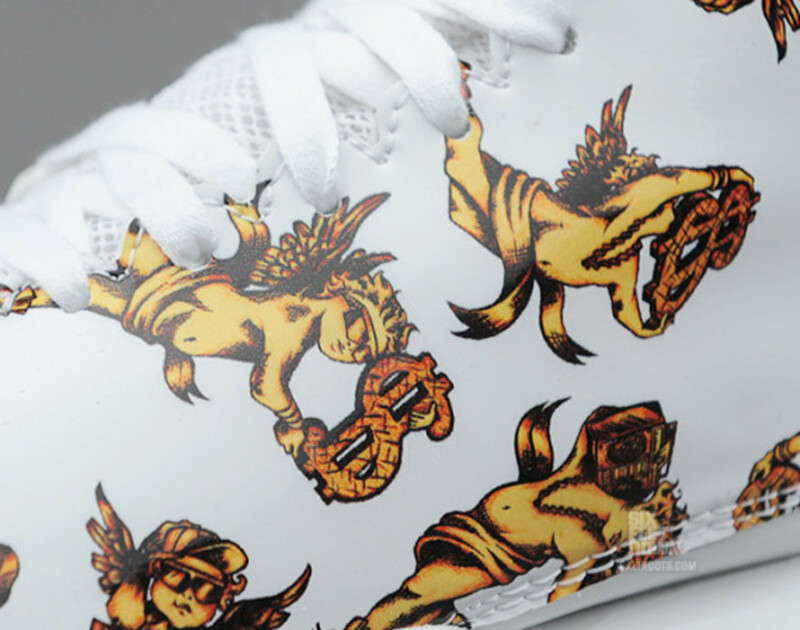 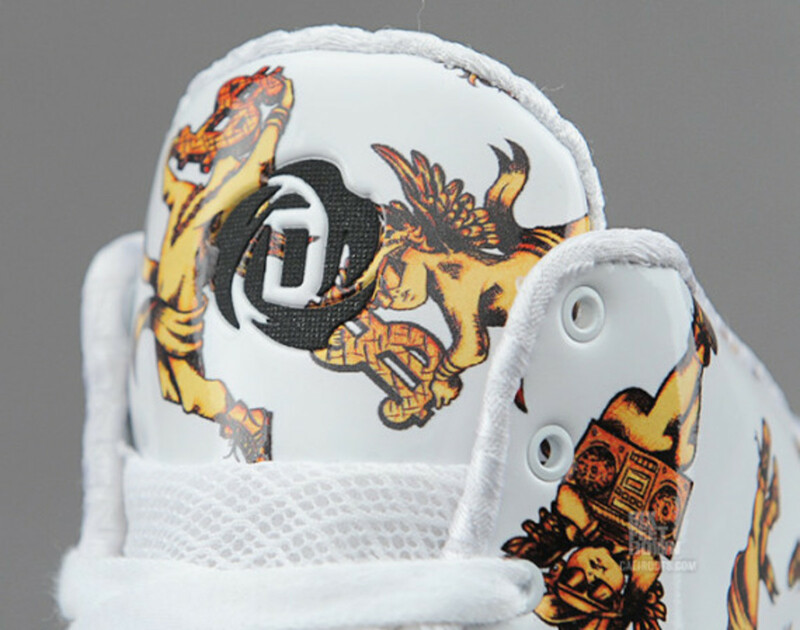 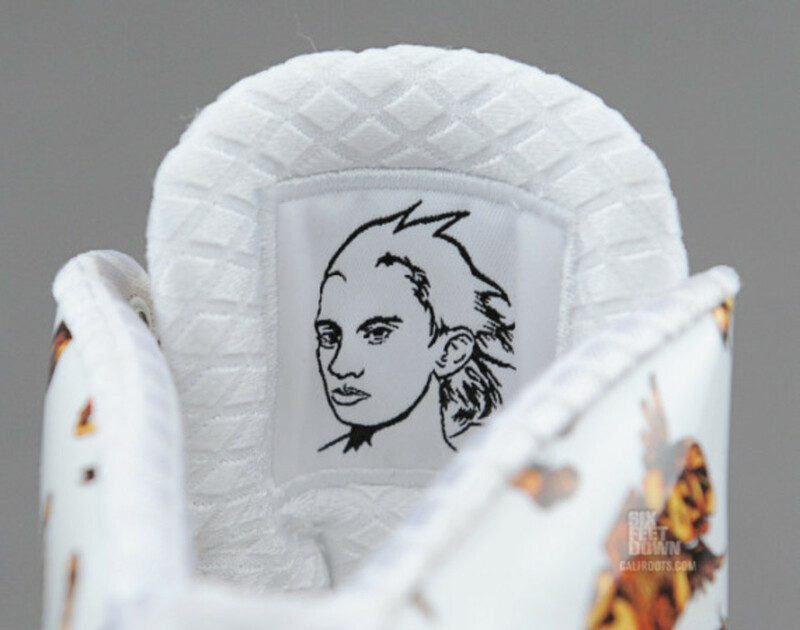 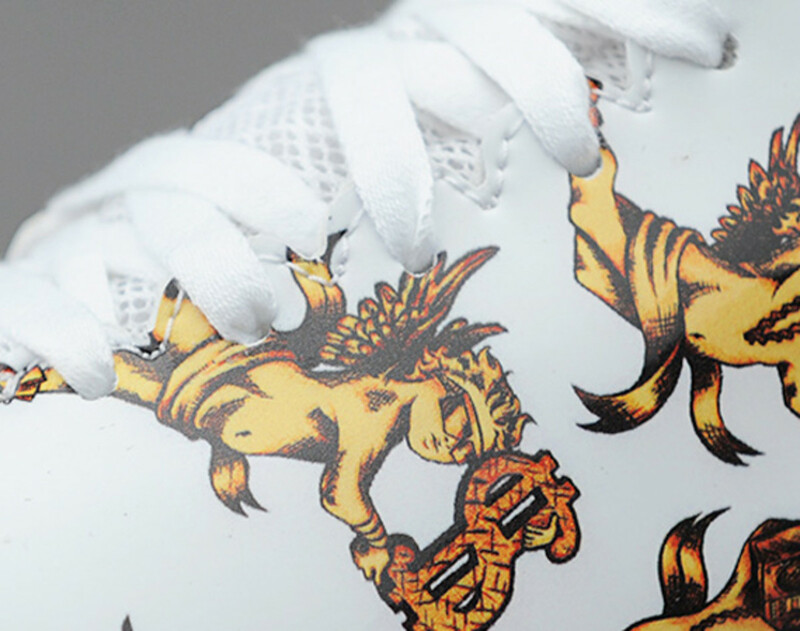 Stripped of its signature SPRINTWEB construction, the midtop silhouette features a one-piece white leather upper adorned with blinged out floating cherubs. 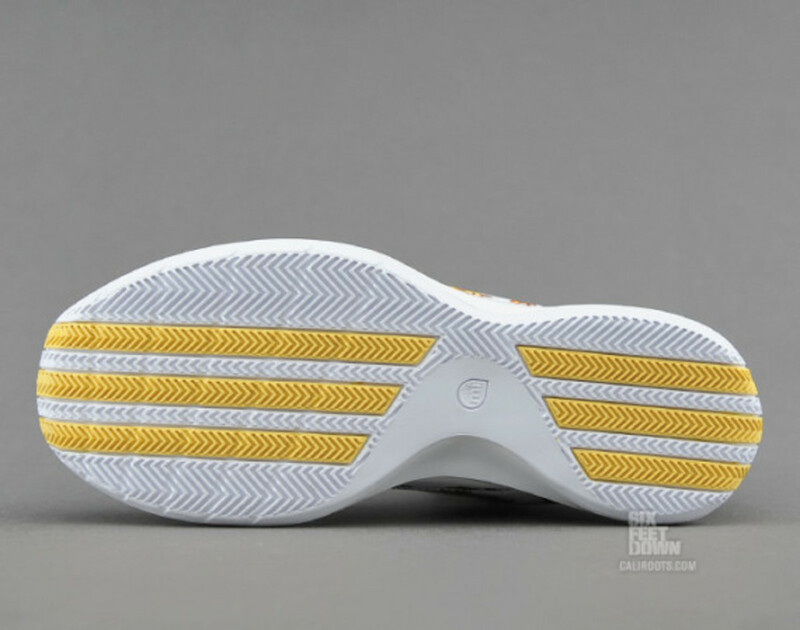 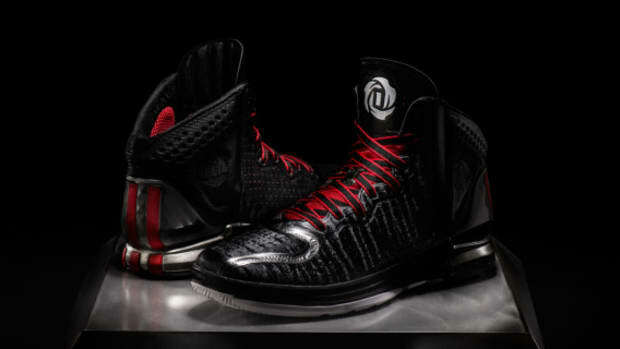 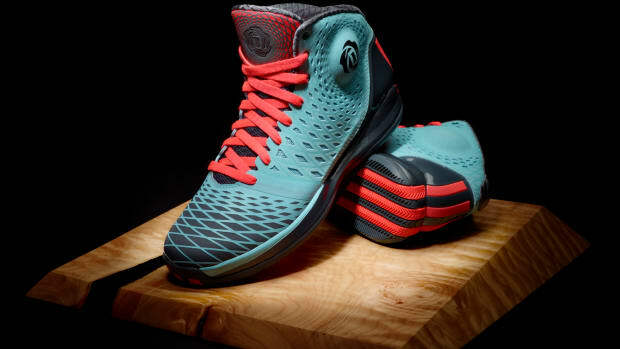 SPRINTFRAME construction maintains the shoe&apos;s basketball-ready chassis, while the exterior branding of the original -- including Derrick Rose&apos;s signature logo at the tongue and adidas&apos; trademark three-stripes at the heel -- carries over in this new design. 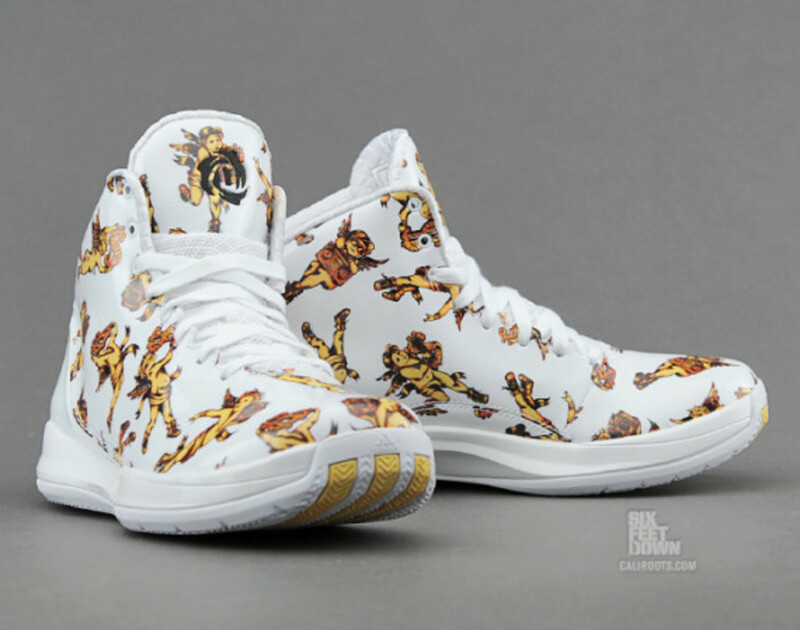 The kicks are available now at select adidas retailers, including Caliroots&apos; Six Feet Down sneaker store. 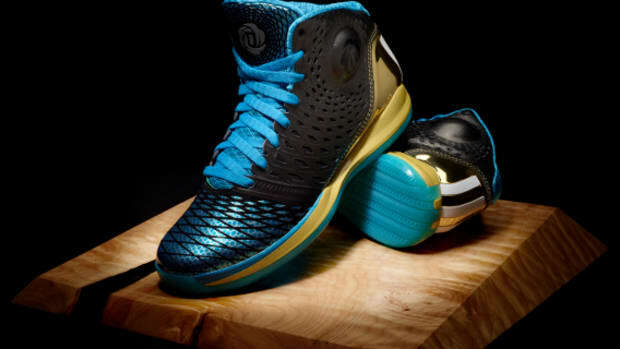 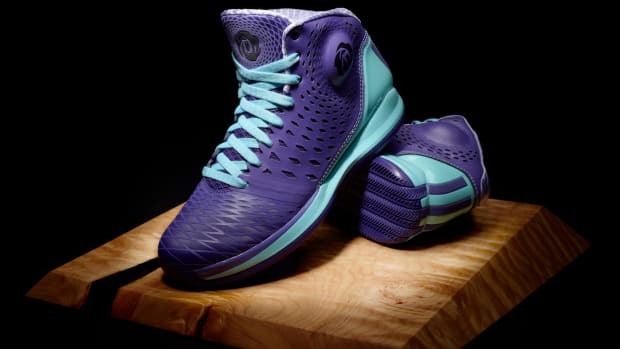 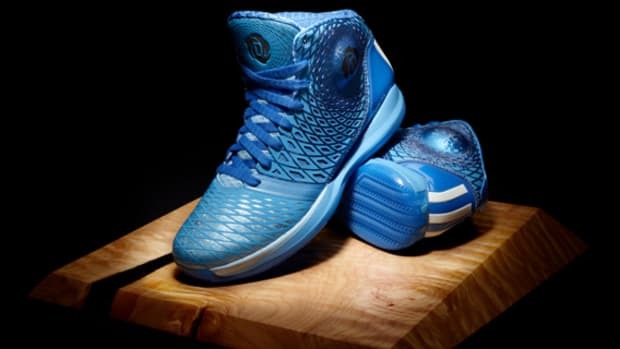 Adidas D Rose 3.5 "Murray Park Winter"
Adidas D Rose 3.5 "Triple Blue"